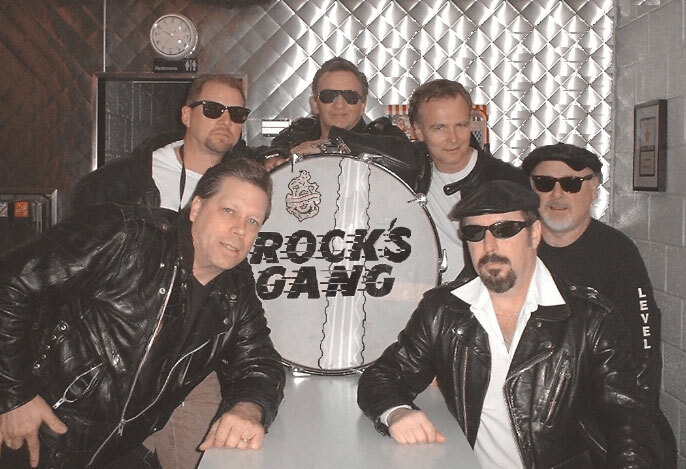 First coming on the scene in the early ‘70s, Rock’s Gang traveled for several years as THE band for the World of Wheels Auto Show, playing in every major city in the U.S. and Canada. Popular venues included the Pontiac Silverdome, the Houston Astrodome, the New Orleans Metrodome, Montreal’s Place Bonaventure and Toronto’s National Exhibit Center. Their repertoire is packed full of music from most of the greatest pioneers of Rock & Roll who ever greased back their hair and rattled the cages of society: Elvis Presley, Chuck Berry, Jerry Lee Lewis, Bill Haley & The Comets, Buddy Holly, Fats Domino, Dion & The Belmonts, Del Shannon, and many, many more.